Home of Milford Sound, Doubtful Sound, Te Anau and Manapouri. Looking for somewhere to stay while in Fiordland? Discover the exciting visitor attractions in Fiordland. 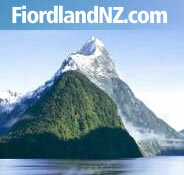 Get answers to all your questions about Fiordland here! Described as the 'eighth wonder of the world'. Towering peaks and outstanding waterfalls. Fiordland is home to great walks such as the Milford Track.